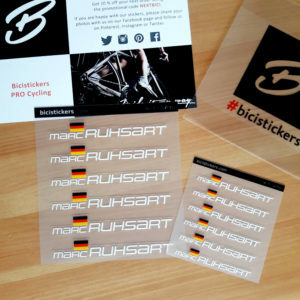 We produced new bike sticker with name and flag for our clients. 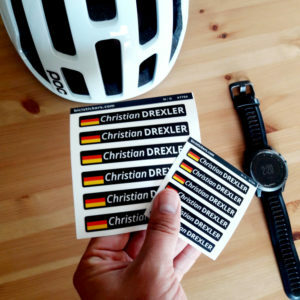 The stickers are customised with German flag, Austrian flag, and flag of Switzerland. 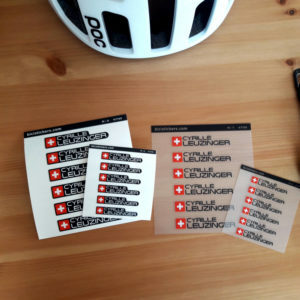 The stickers can be used for bike frames or helmets. The stickers are highly durable as their are produced using the highest quality vinyls. 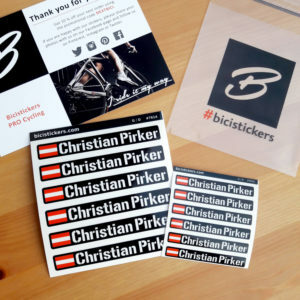 The stickers will nicely match your bicycle due to wide range of custom designs, fonts, and colours, and glossy or matte finish. 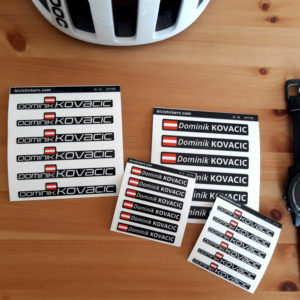 For our bike name stickers check our homepate Bicistickers PRO Cycling. 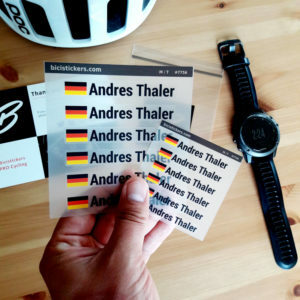 We offer wide range custom made stickers. You can select the flag you want, type your name and select the preferred colours. You will see the preview of the sticker before ordering.